The Legend of Zelda Breath of the Wild is an awesome open world that puts new life in a 30 year old franchise. Its world features great mysteries, adventures and challenging quests with unique stories. The game will definitely keep you busy for hours in its vast world with great art design and visuals. 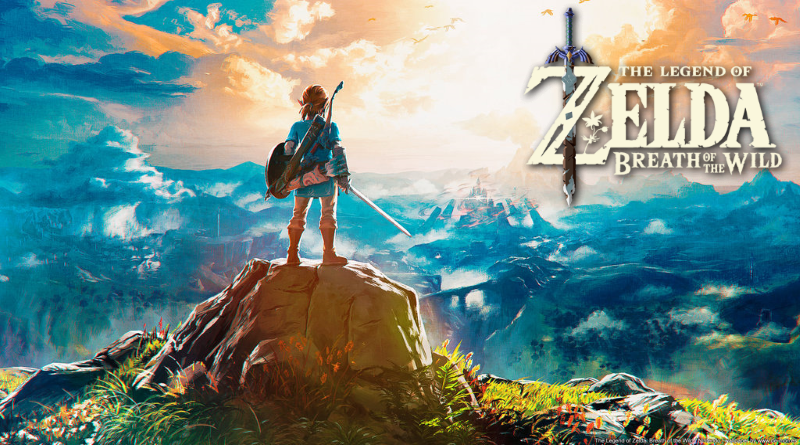 The Legend of Zelda Breath of the Wild is the latest entry in The Legend of Zelda video game series released for Nintendo Switch and U Wii consoles. It’s an action adventure video game published and developed by Nintendo. This game is little different than what we saw in previous games in the series. It features an open world, HD visuals, great voice acting, and physics engine. The game also features an ability to play the game’s dungeons in any way you want. 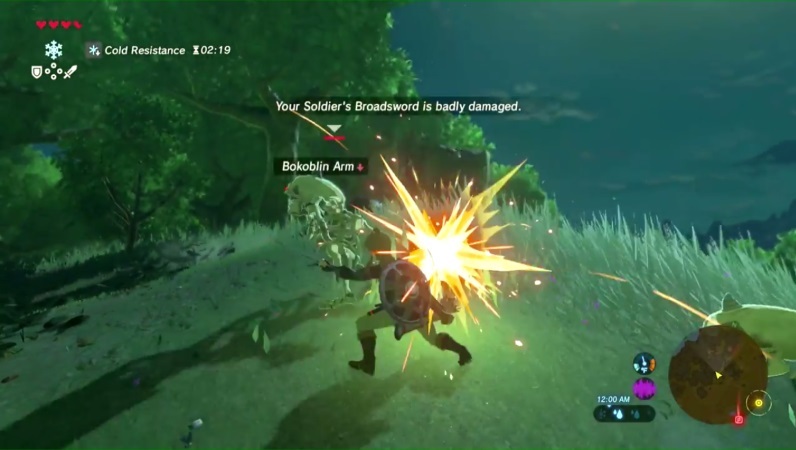 Today, funkyvideogames presents The Legend of Zelda Breath of the Wild Review where we will provide you some straight up insights about the gameplay, story and visuals. Breath of the Wild has been in the news fro the past few days for one reason, the game is getting awesome reviews. Aside from getting 10/10 everywhere even it reached highest score from some places that gives these type of scores to games like Mario 64, Metal Gear Solid or Half Life. This all came as a bit of surprise because leading up to the release many people were bit skeptical. 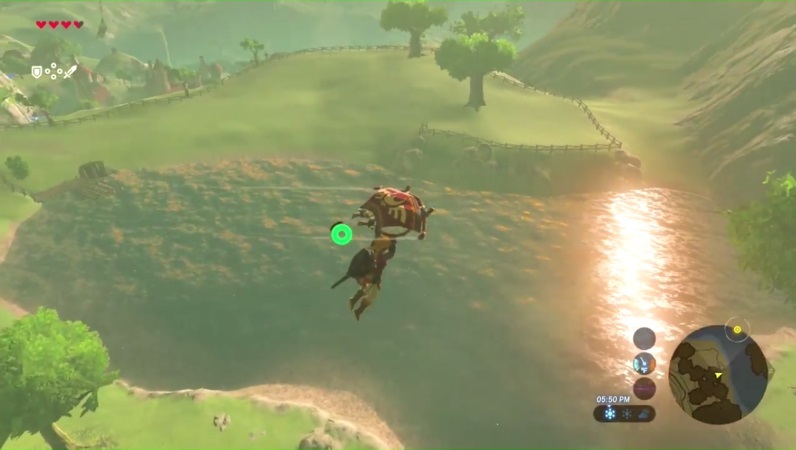 Surely, there was an average hype that comes with the Zelda game but it seem odd for a Zelda game to embrace conventional open world design features. But I’m happy to say the game is really awesome and it is absolutely worth the praise it’s been receiving. The game is not perfect but of course no game is perfect and it is definitely a worthy addition to the Zelda game series and probably one of the stronger ones we’ve seen in while. The story is pretty simple, you are Link the Chosen Hero who wakes up from a magical tomb after 100 years of High Roll. In the start you will be dumped in the opening area which is already pretty big and you are given a little guidance as a tutorial. But once you get a para glider the game and story essentially begins and the entire world is open to you. After the world is available for you to explore it is entirely up to you to figure out what you need or even want to do. The Legend of Zelda Breath of the Wild is absolutely a huge game may be even a bit too huge at times but when you are exploring the map it feels like a big open world western RPG like Skyrim or Witcher. But its gameplay system and how exactly you play makes this game distinctly a Zelda game. The world in the game has various side quest and towers to climb for you to unlock more map. The game handle these elements differently that makes this game special. Climbing different towers will not get you much but they do provide you a good vantage point. The game is all about setting your own adventure and discovering things for yourself. There is a cooking and crafting mechanics which is surprisingly simple and deep which is great fun. The game barely tells you about this feature and doesn’t hold your hand in this regard. In fact, The Legend of Zelda Breath of the Wild is the least handholdy Zelda game we have seen in a while. 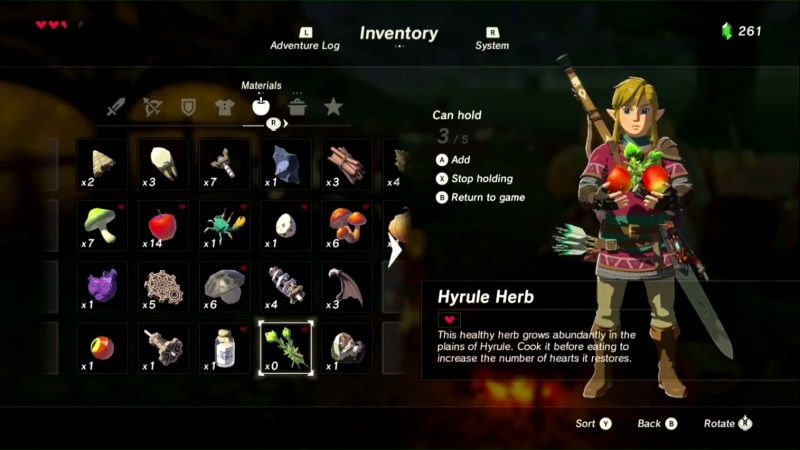 The side quest, cooking and crafting features are ton of fun it may scare some casuals but it definitely makes this game exciting especially when you discover something for the first time. Combat is mostly your typical Zelda fair but it is much more challenging which I think is pretty great. Weapon degrade and when I mean degrade, they degrade pretty quickly. Honestly, it can be bit annoying despite some workarounds that game provide you latter on. Honestly, I think it is one of the few questionable designs that exist only just to exist. But thankfully come with it a variety of size weapons such as swords, hammers, staffs and other stuff that you will end up using atleast once. It really make the classic lock-on attack and Zelda back flip combat pretty amazing. In the combat, you can get one shot kill pretty easily and often especially early on in the game. This game is not for the faint of heart, as I mentioned earlier exploration does reap rewards. Finding and completing side quest and challenges net you points to buy more hearts and stamina. Getting these upgrades definitely involve a bit of exploring, climbing mountains and running across rivers. The stamina thing is really a pain in the a** as every action drains your stamina. But it does make you think how to get to the difficult areas. Doing some specific things like eating certain foods will buff your cold resistance or give you more stamina. It’s just an added strategy that you should be aware of. The game really make these small systems such as cooking a ton of fun and rewarding. Same goes for a lot of things in the game like catching and taming a horse. You need to bond with the horse before it can actually completely follow your commands and obey you. The open world gameplay is effective because that’s the main event here but so does the story. I honestly think it just go beyond a typical Zelda tale. The voice acting here and there is pretty nice at least it is what you will expect in Zelda game that how the voices sounds like in a good Zelda game. But the real stories are the ones you make for your self in this surprisingly gorgeous looking world. 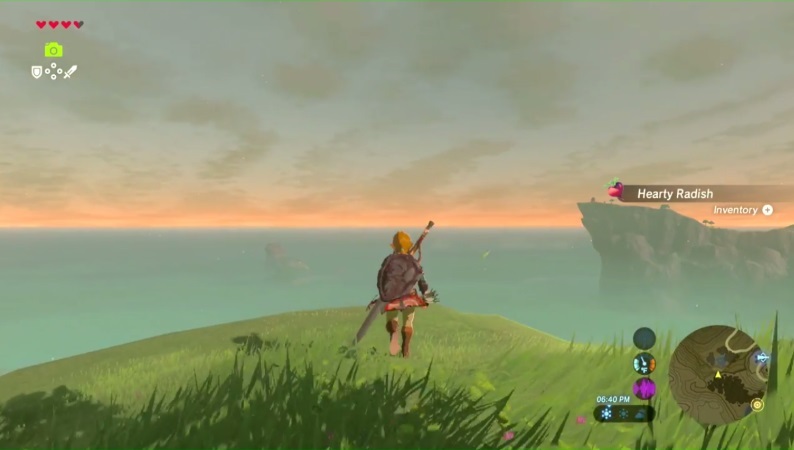 The Legend of Zelda Breath of the Wild is not supper high resolution or detailed oriented game, it is technically running on an outdated hardware. But there is pretty good lush colors and contrast here that makes this a pretty good looking game. Some sun sets and rises are pretty damn amazing to experience in the game. The frame rate can take a different turn time to time, most notably on TV mode on switch but it’s not the biggest problem and it’s not a totally disastrous one. It is definitely about the style and art design here. Overall this is a damn good Zelda game. By following these modern game conventions, it actually took a risk for Zelda fans. But thankfully, it seems like a paid off, you will definitely going to be drawn to this game. I only just scratched the surface here and I highly recommend this game for the fan of the series. You know how these reviews work here on FunkyVideoGames, we give you some pros and cons with my personal opinion thrown in somewhere. This time around I don’t have much cons for this game because it’s definitely a pretty great game. Now I want to hear you down in the comments. Did you pick this game for the Nintendo Switch? What are your thoughts for the game? Did you like the open world design and art style of the game? Please feel free to tell us what you think about the game down in the comments.